If you want a nice side for dinner or alternatives to ‘starches’ and carbs, medleys are an excellent option. They can be steamed, sauteed or baked. To be honest, you can’t really go wrong – all it requires is knowing which combos you like/ work well and going for it. I prefer baked/ sauteed medleys for the simple reason that roasting draws out the sweetness of vegetables, not to mention it frees up my stovetop for the other accompaniments. Some of my favourite combinations involve potatoes, carrots and onions. I like the balance of sweet and starchy. One key thing is to ensuring you cut up the vegetables roughly the same size so they cook evenly. Yes, there will be some variations in the cooking time between starches – potatoes, yams etc compared with softer vegetables like bell peppers, onions etc. Here are a few suggestions, simply seasoned with olive oil, salt and chili powder/ freshly ground black pepper. You can add herbs – fresh and dried and citrus – lemon and orange zest work well. I tend to make more than I think we need as roasting causes some shriveling and reduction in what I originally set out. Left overs can be incorporated in hashes and egg bakes. 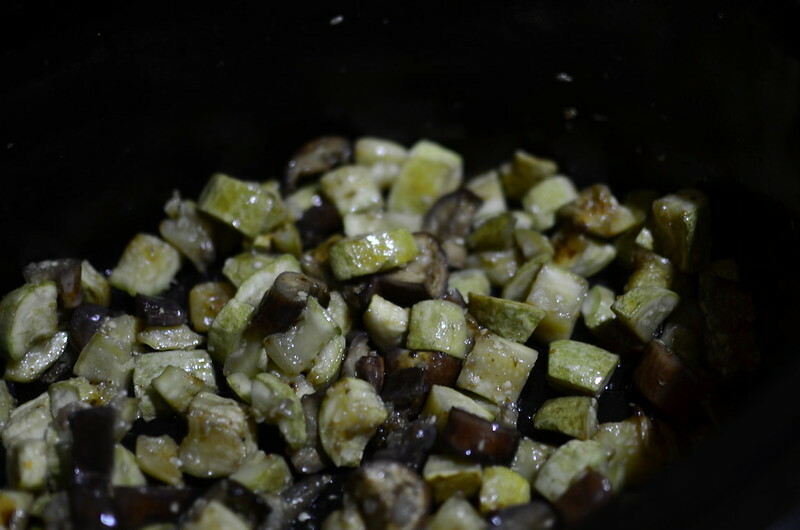 Courgettes and eggplant/ garden eggs – first salted to remove some bitterness. With tomatoes, onions and bell peppers, it could make some sort of ratatouille. 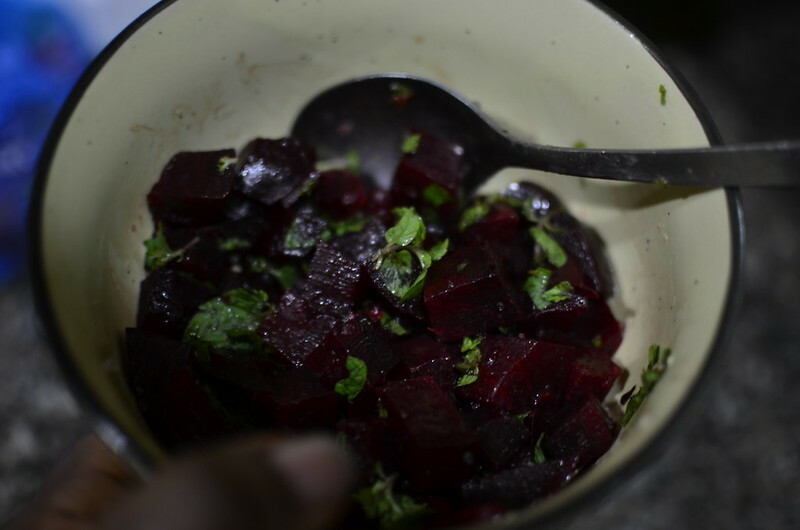 And though I won’t call this a medley – seeing as it’s one vegetable, roasted beetroots with olive oil and mint make quite the treat. Because I like to use the opportunity to batch roast things at once. 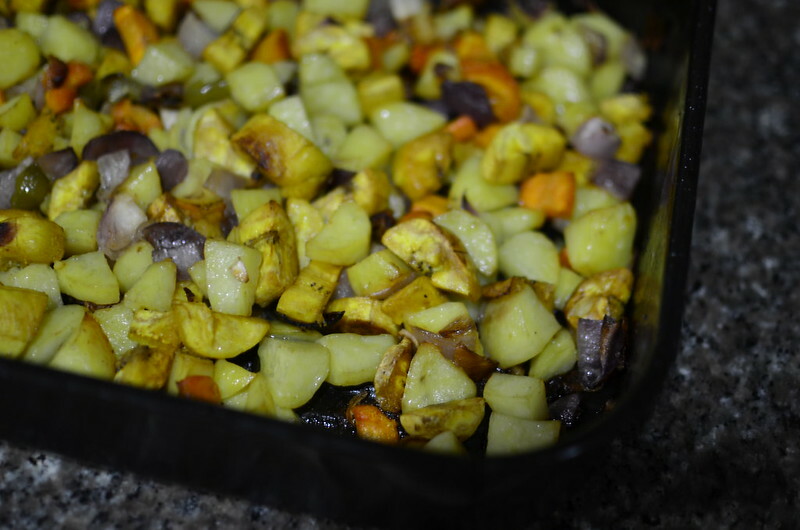 Think of pumpkin and other squashes,breadfruit and the like for other options.